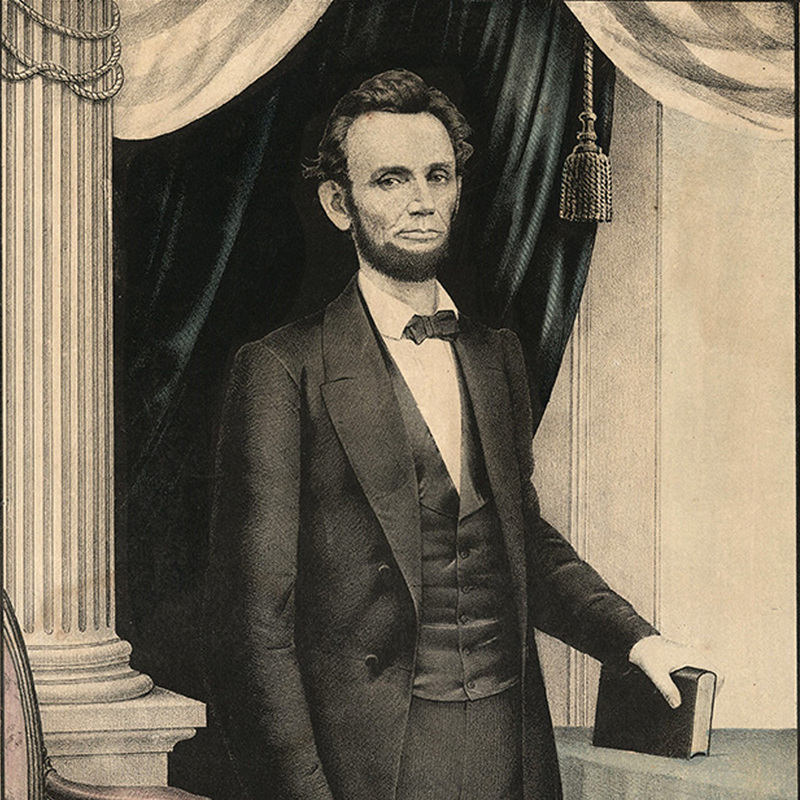 Abraham Lincoln: American Icon, in the Chapin Gallery (Sawyer 406) through August 2, celebrates Lincoln’s 210th birthday and the publication of Monument Man, Harold Holzer’s biography of Daniel Chester French, sculptor of the seated Lincoln in the Lincoln Memorial. Books, broadsides, letters, and prints – and a life mask taken in 1860 – document Lincoln’s life and highlight the Lincoln-related work of Daniel Chester French. All materials are from the Chapin Library and from the Chapin’s Chesterwood Archives, once held at French’s home in Stockbridge, Massachusetts.